Oh my goodness – I can’t believe I won my first blog award! 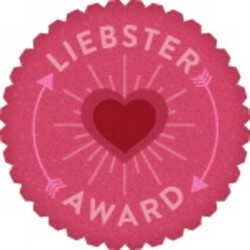 C’est La-Vie Designs Unlimited, LLC nominated me for a Liebster Award. I’m very honored. 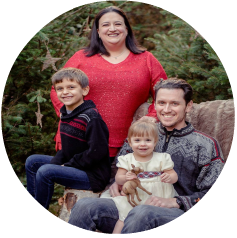 If you haven’t heard of a Liebster Award, don’t worry I hadn’t either, it’s where another blogger nominates you as an up and comer so to speak. The blogs nominated have to have less than 200 followers. They also need to be blogs you enjoy, and think others should watch. 2. The Reluctant Scrapbook Blogger – Here’s Basic Grey Album is so tastefully done – I can’t wait to see what else she comes up with. Thanks for nominating me Lyne! Congrats on the award! Thank you Shannon – I hope it brings us both lots of new subscribers! Wow, thank you so much Lyne! I really appreciate it and I'm grateful for the nomination! Have a wonderful day! I love the picture of you getting a big hug from your son. Michelle – I hope you have fun picking your nominations…I know I did! Thanks for the nomination Lyne! 🙂 Now to pick my nominations… this is fun! !